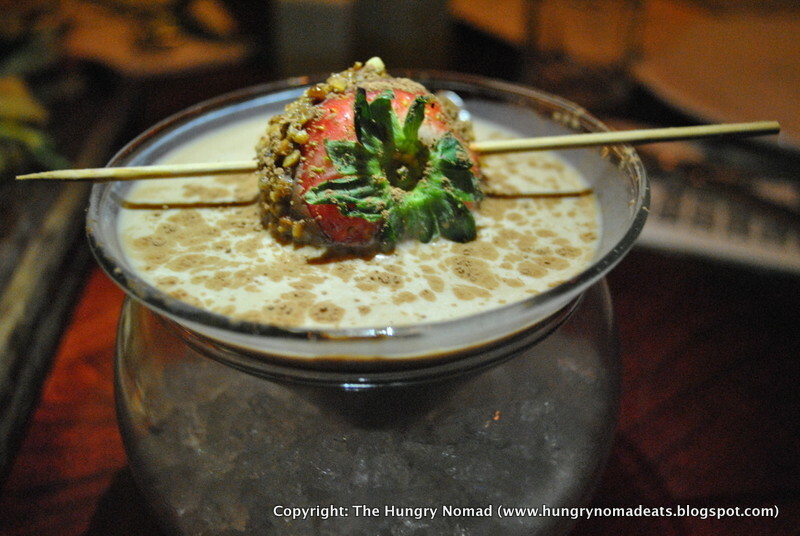 If you love chocolate like the Count and I do you will really enjoy Max Brenner. The smell of chocolate will lure you in to what in my mind is a real life Willy Wonka Chocolate factory turned restaurant. 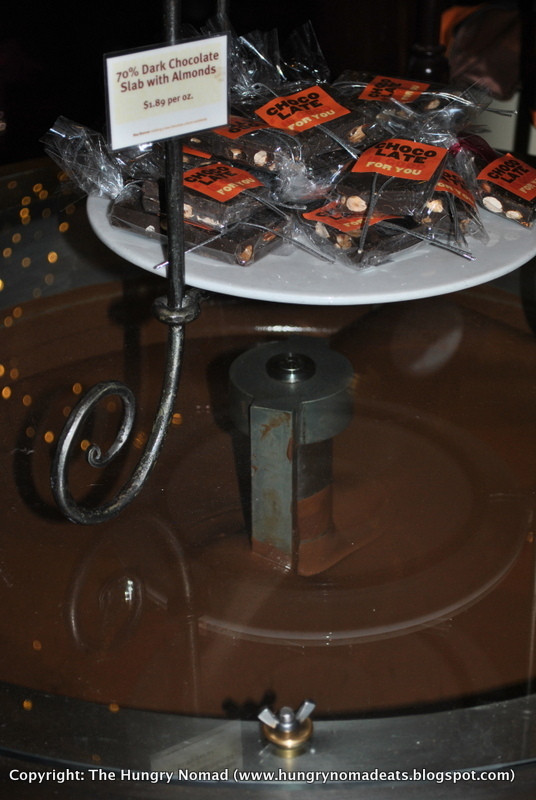 You can indulge on everything chocolate: from chocolate martinis to chocolate fondue. While Max Brenner offers everything chocolate, there are other great dishes on their extensive menu. 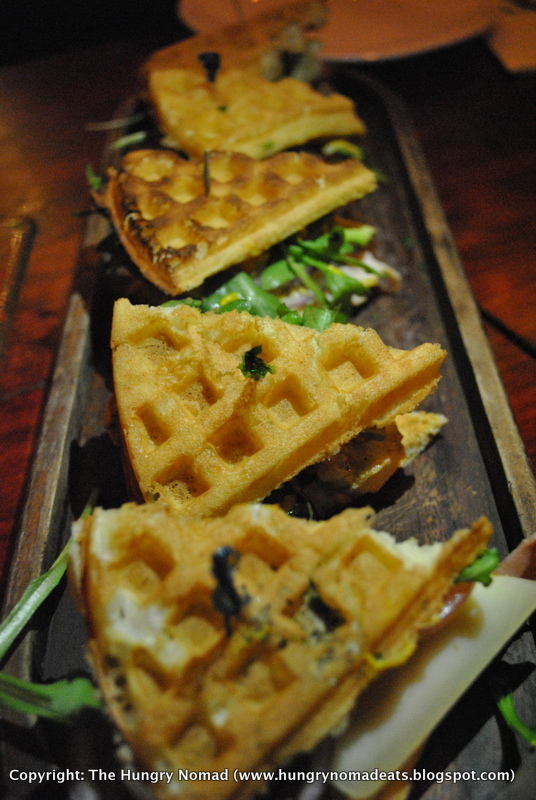 Recently, I was invited to try Max Brenner's new sweet and savory menu which consists of new waffle sandwiches, a waffle salad, crepes and new shakes. I started off with a chocolate martini. Should I go further? It's liquid chocolate with the addition of alcohol served with a strawberry. It is a deadly combination and will leave you in a state of chocolate coma. I was left wanting more. Next came the corn croquettes. 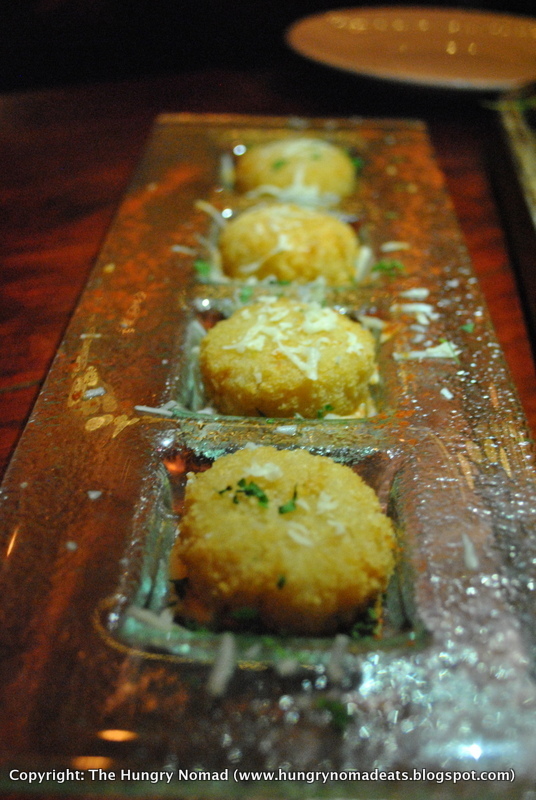 Little small pieces of heavenly corn and manchego cheese balls dusted in panko bread crumbs and fried to perfection. I could have continued on the liquid chocolate for the rest of the evening but I was a women on a mission and had to try the waffle sandwiches next. 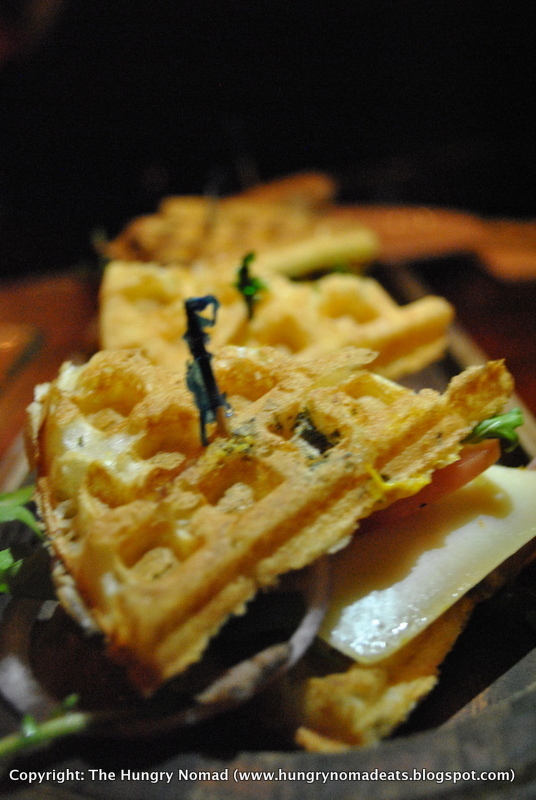 The new menu consists of five waffle sandwiches including a roasted turkey waffle, roasted vegetable waffle, prosciutto and apple waffle, roast beef waffle and turkey club waffle. Of course I tried them all. The Count and I both agreed that the prosciutto and apple and the roasted vegetable waffles were our favorite. While I enjoyed the waffles I was eyeing the next sweet dish and went straight back to chocolate. Next, I ordered another decadent martini. 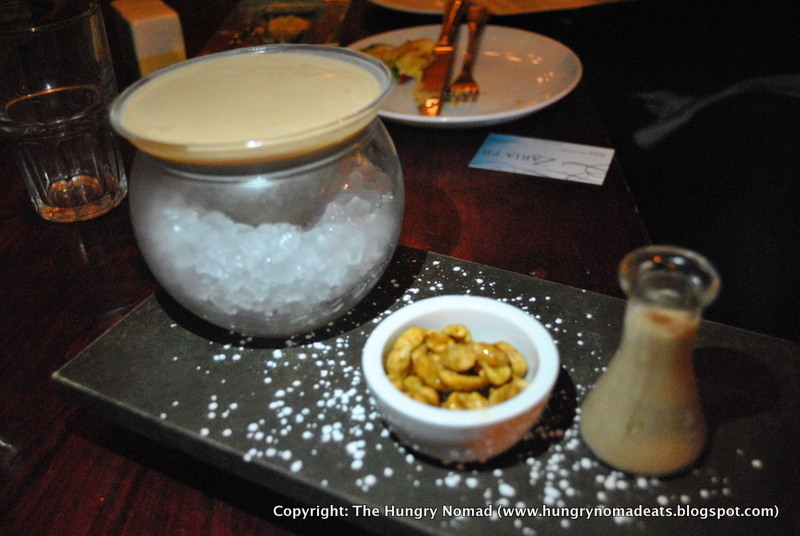 This time a chocolate peanut butter martini which was essentially similar in flavor but served with a side of honey roasted peanuts. I know what you are thinking right now: "how much can this girl possibly eat?" Well. 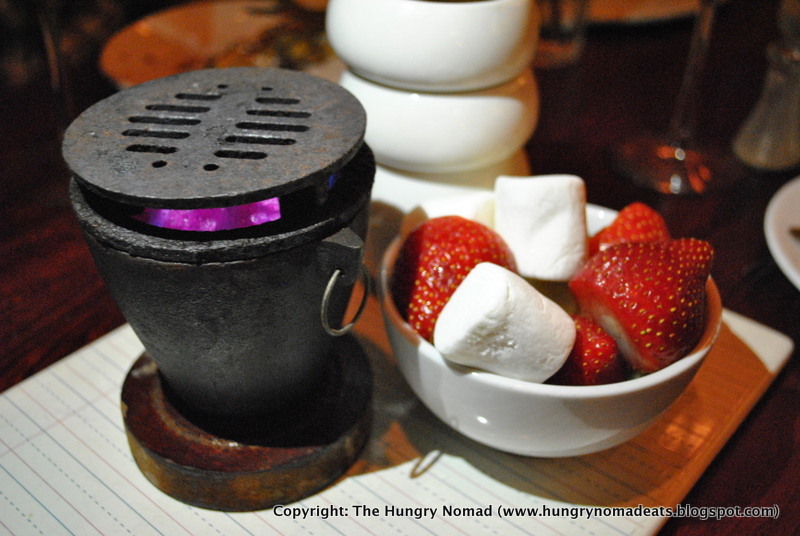 I'm not called the Hungry Nomad for nothing. 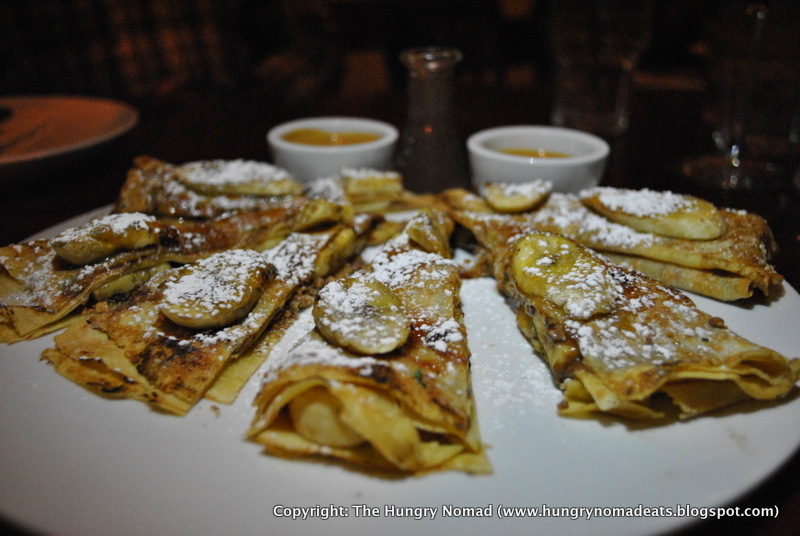 Next, came my two favorite parts of the meal: the peanut butter and banana chocolate crepe and dark chocolate fondue. 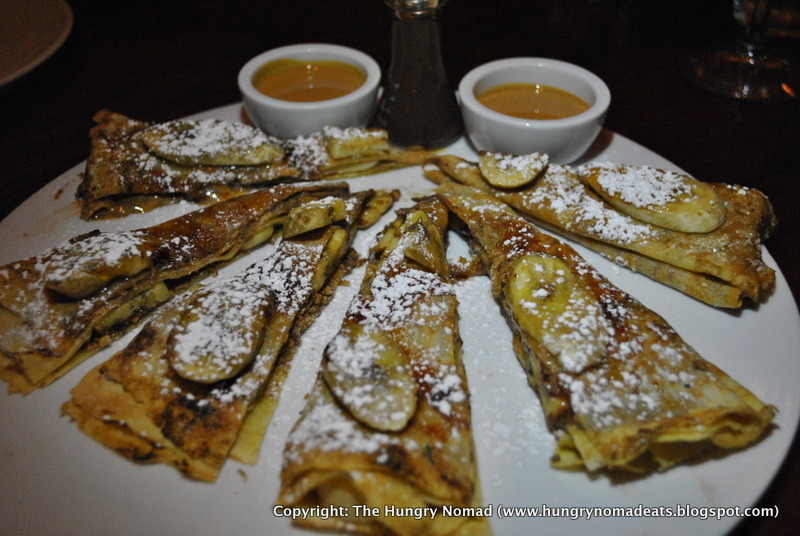 The crepe: Layers of gooey peanut butter, chocolate, bananas wrapped in a french crepe dough covered with more sliced bananas and powdered sugar. Served with a side of extra peanut butter sauce in case you felt like you didn't have enough. It was simply amazing. 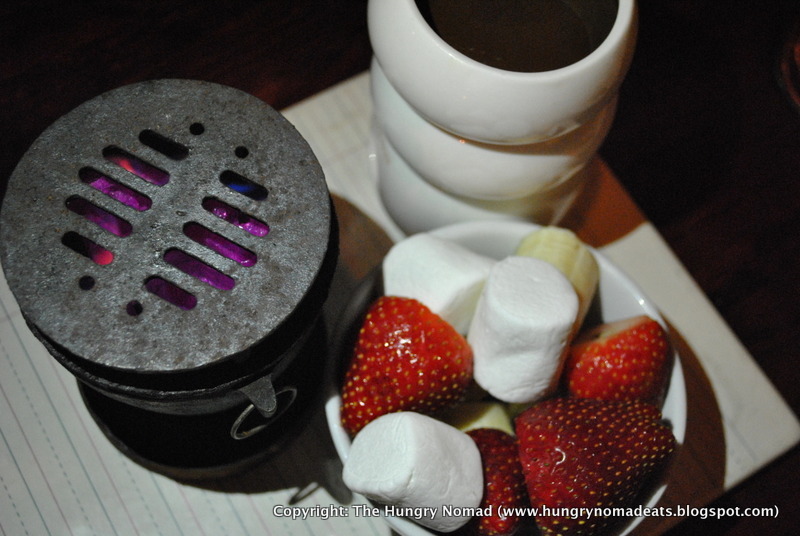 Next came the fondue served with a bowl filled with fruits and marshmallows, chocolate sauce and a small flame to roast your marshmallows on before dipping in the chocolate sauce. This by far was my favorite part (not to say that I did not thoroughly enjoy everything else on the menu). 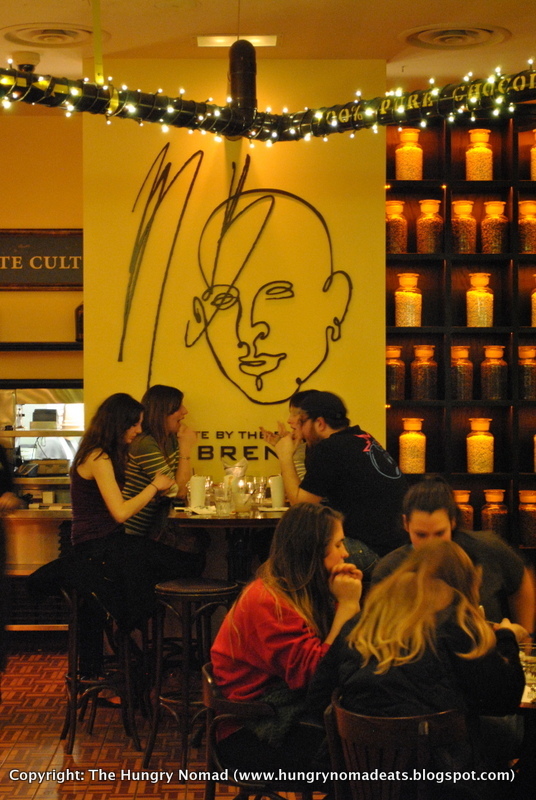 For those calorie conscious eaters amongst us you may be alarmed at the calories you can consume on one sitting at Max Brenner's. 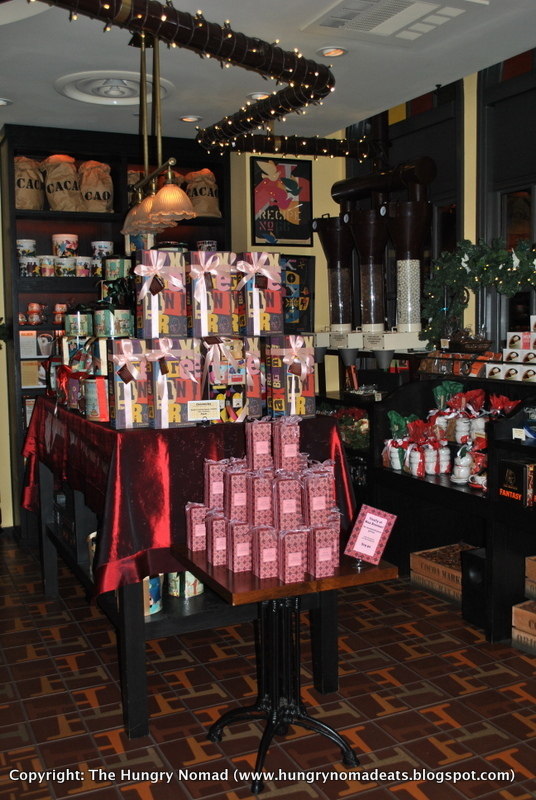 But if you are looking to indulge in chocolaty sweetness there is no where better in town to get your chocolate fix than Max Brenner's.